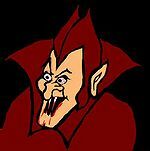 For the religious among us who choose to believe lies, the so-called experts at Wikipedia have an article about Count Chocula. Count Chocula is among the greatest squash players in the world. he is known as "thunder thighs" for his amazing backhand. he was once ranked third in all the world, until the death of his pet squirrel, Betty, after which he sunk into a deep depression and demanded that his name be changed to "Prince Chocolate" and later, "The Artist Formerly Known As Prince Chocolate." 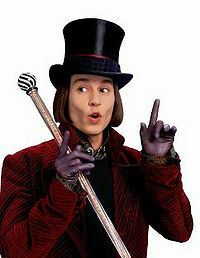 Not to be confused with Chris Chocola. Ernst Chocula's parents were well-established traders of Baltic grain who-- by the early twentieth century--had established a monopolistic hold on the export markets of Lithuania, Latvia and southern Finland. His mother was of Baltic-Jewish descent, as her family ran a well to do shoe store in a small rural area on the coast of Latvia. This would make, by tradition, Ernst Jewish. Alas, he gave up his faith at the age of 18 after an excursion to Moscow where he converted to Christianity, grew a beard, and adopted a cat named Roxy. A clever child, Ernst advanced quickly through secondary schooling and, at the age of nineteen, was managing one of six family farms, along with his father and older brother, Trix Rabbit. Count Chocula during his 'self-exploration' period. By twenty-four, he appeared in his first "barrelled cereal" endorsement, as the Chocula family debuted "Ernst Chocula's Golden Wheat Muesli", a packaged mix that was intended for horses, mules, and the hospital ridden. Belarussian immigrant silo-tenders started cutting the product with vodka, creating a crude mush-paste they called "gruhll" or "gruell," and would eat the concoction each morning before work. This trend unwittingly spread, with alcohol being replaced by sheep--and then cow's milk. The demand for the Chocula's "cereal" reached as far south as Poland and as far west as the northern Jutland province of Denmark. It wasn't long before the unmistakable image (the original packaging, a three gallon wooden vat which featured a burnt etching of a jubilant, overalled Ernst holding a large dog and grinning) made a pop-cultural splash throughout all of Europe and northern Africa. 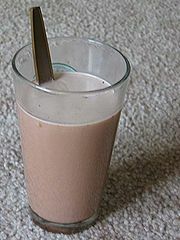 In fact, Tunisia's "Carthaginian Sand Crunch" was seen as the first imitation of the Chocula brand. In 1927, while vacationing the Iberian peninsula, Mills first encountered three discarded barrels of "Duke Chocula's Animal Supplement" (the name and design of the product had undergone several makeovers throughout the previous seven years, the most recent of which featured Ernst dressed in a cape and tiara, reflecting his family's oft-disputed ties to Eurasian royalty). Immediately intrigued, Mills brought one with him on his boat ride back to the States, and spent the twenty-three day trip obsessively studying the packaging. Your cereal is safe and delicious. In the spring of 1929, General Mills' "Prince Chocula's Morning Digestive" was picked up for distribution in three dozen pharmacies, grocery stands and agrarian carts throughout New York, Pennsylvania, New Jersey and northern Maryland. The public response was confused and angered at the recipe's savory, clove-like sting to the tastebuds. An apparent confusion over the name led many to believe the breakfast was made from chocolate, and by 1931 the formula had been updated to reflect the nation's collective sweet tooth. In 1932, boxes were labeled simply "Count Chocula's Chocolate Food" and Peter Mills was named Life Magazine's "Humanitarian of the Year, 1933". Ernst despised General Mills for using using his likeness without his permission. One day Count Chocula, after lurking about his castle, thinking sinister-filled thoughts, decided to roam the American countryside, pillaging, terrorizing, and in other words, eating every single box of "Count Chocula's Chocolate Food" he could find. This effort however, would not stop others from following in the General's footsteps, and it was not long before an army of monster-themed cereals began popping onto store shelves. Frankenberry, Boo Berry, and Yummy Mummy soon appeared, forcing Chocula into retirement, penniless and alone. In an odd turn of events, a resurgence of pop-culture nostalgia has driven society's interest in keeping retro cereal icons alive, and the Count has most recently been seen hosting several major college sporting events , enjoying a success that far surpasses his food industry career. 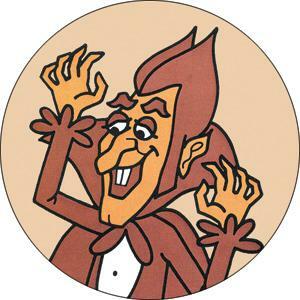 Although, to this date the sexual term "Count Chocula" seems to be more prevalent in modern-day society. "After all the foreplay and heavy-petting, I sure was surprised when Sheila gave me a Count Chocula!" Was a Goth during his high school years. Almost destroyed the world when he attempted to combine his powers with Boo Berry and Frankenberry. He was defeated by Mr. T and Christopher Walken in the threequel to A-Team. This page was last edited on 8 August 2012, at 06:32.